আপনি কেমন আছেন? আমার নাম লরি. আমি বুঝতে পারিনি. translation: how are you? my name is laurie. i have no idea what you just said. khub maja! — very delicious! eta ashambhab! — that’s impossible! deka hobe! — see ya! monday started off not well. 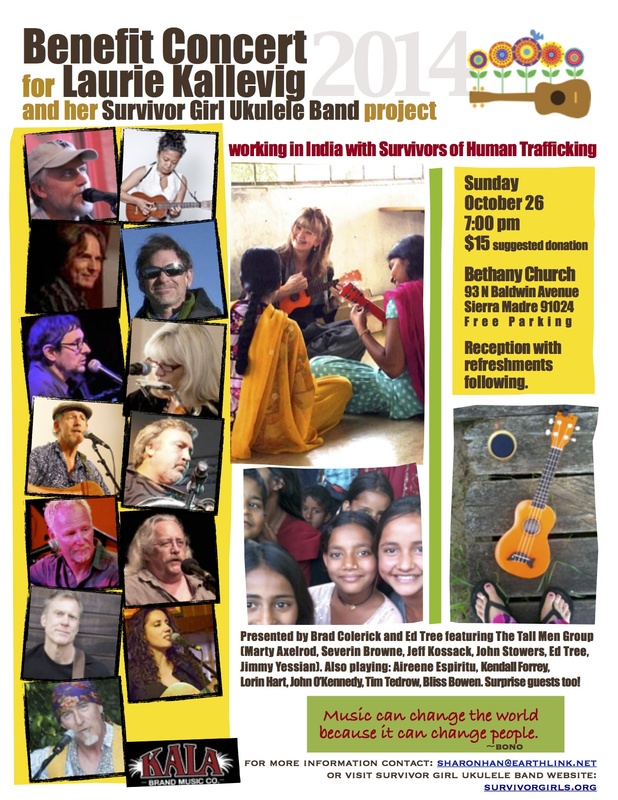 after sunday’s successful survivor girl ukulele band performance for the swedish ambassador at large for combatting human trafficking, something changed for the worse. there was a disturbance in the band. at first i tried to keep calm and carry on, ignore the drama and hope that the few unhappy girls would soon snap out of it. that didn’t work. “what’s going on?” i said in bengali. no one was ready to talk, but hot tears fell and two girls quit the band. classes continued throughout the week; so did the drama. friday morning those two girls quietly came into the room, sat on the floor, and joined the class. and when the class was over, those two girls remained. sami*, a senior student from last year and kalini*, a relative newcomer. sami* has maybe a fifth standard education. kalini* recently graduated the tenth standard. sami works at her ukulele skills, but she’s an average player who struggles to stay on a beat while kalini focuses her practice and perfects her ukulele skills and has a great sense of timing. she picks up new things so quickly that she has surpassed everyone else in the room with her prowess. oh, and she sings, dances, and writes poetry. i’m not kidding. kalini apologized to sami and wanted to be friends again, but sami wasn’t ready to forgive. and as i sat there, i traveled back in time to my own teenage years, to the many times that i fought with my twin sister. we were skilled in the art of fighting and could fight to the finish about anything. then one day we had a big fight. a huge fight. it was the hugest fight ever. and the strangest thing happened. after eighteen years of fighting and competing, we both realized that at the bottom of our troubles was the fact that we each felt lesser than the other. my sister was prettier, smarter, funnier, more talented, more popular, more creative, more tan, more lovable than me. more worthy than me. and she had better hair. you’re probably looking at this picture and saying, they’re almost exactly alike! how silly!! but it wasn’t silly at the time. and so i told sami and kalini about my sister and me. and told them that even now i find myself comparing myself to others. i try to stay off that path, but when i do go down it, i think: who am i to do this survivor girl ukulele band? who am i to come all the way to india and try to do this ukulele thing? i told her that she had a choice. to travel down the path of negative thoughts and anger and fighting or to choose another way. choose to look at the gifts that she has, which are many, choose a path of joy and friendship, and forgive herself for not being the best. sami and kalini are back to being friends. and my sister and i have been best friends ever since that big huge fight. this is a wild job. some days i fail spectacularly, but in that failure and weakness, there is always enough grace to find an opportunity for forgiveness and growth. and thank goodness i don’t have to have it all figured out. that’s part of the adventure! plus lots of people have joined survivor girl ukulele band. they let me stay at their house, they give me money to meet my expenses, they give me ukuleles, they like my facebook posts, and they play benefit concerts and they uke it forward™ for me — family, friends, and people i haven’t even met from all over the world. dhanyabad, dhanyabad, dhanyabad! — thank you thank you thank you! upcoming benefit concert — november 15th!!! see you there!! this year’s survivor girl ukulele band benefit concert is going to be the best ever!! what a lineup! brad colerick, tom corbett, bliss bowen john o’kennedy with eric kufs, and heidi swedberg with daniel ward. surprise guests and a special performance by pastor briant cuffy. and a free yummy dinner hosted by bethany church of sierra madre and post-concert reception. wowowow!! 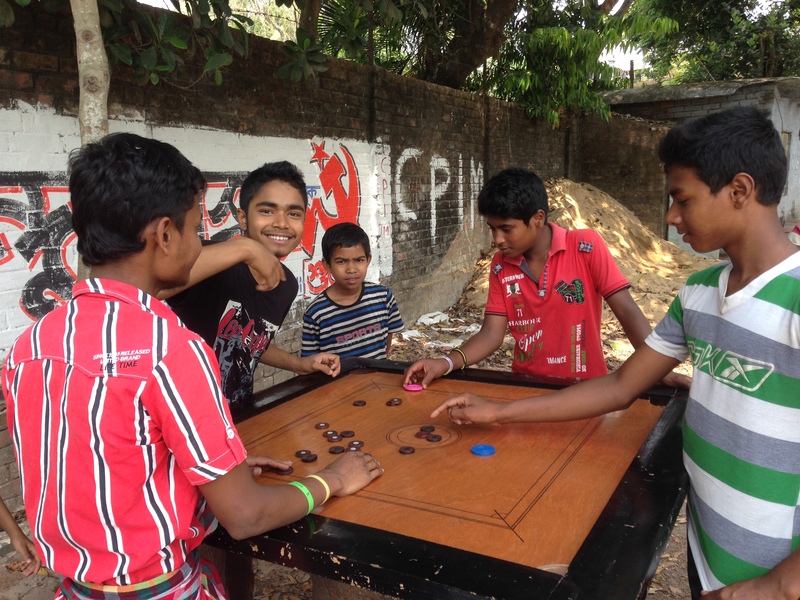 and i’ll give a short update about my most recent six months at sanlaap shelter home in kolkata india. to rsvp for the dinner please contact sharon hannah at sharonhan@earthlink.net. for privacy and safety, the girls’ faces are not shown. in my 11:00 am ukulele class there are ten survivor girls. i don’t know all their individual stories, but it’s not uncommon for these girls to believe are that they are stupid, that they can’t learn, and that they are worthless. those beliefs are reinforced by the fact that they have had very little education and they don’t really know how to learn. shortly after i arrived at sanlaap, a shelter home in kolkata for rescued girls, i performed an impromptu outdoor concert for about forty girls. they were a generous audience, and my “kuch kuch hota hai / baby” mashup was a hit, so most of the girls came to their first ukulele class with some excitement and enthusiasm. the next week however, latika missed a class that included a lot of practice on “twinkle twinkle little star.” then the very next day — as all the other girls were sailing smoothly through the song — she wasn’t playing as well as the the other girls. she couldn’t keep up, she missed some notes, she got lost, and she stopped playing. very discouraged, she put her ukulele on the floor. “latika,” i said. “ok. you and me.” we played a few lines together, singing out the names of the notes. she made a few more mistakes and put her ukulele back on the floor. she made a hand motion by her head as if to say “everything is gone” and she said something in bengali. her face was like a storm cloud and her voice was like thunder. “she said she can’t do. it’s all gone out. she can’t learn. she’s finished,” said preeti*, the girl who speaks english. latika picked up her ukulele and hid her face behind the head of the ukulele. we went through the song again, taking special care on the parts she was having trouble with. she was getting it. i could see hope and confidence building. another student pulled her aside and helped her, too. soon latika turned back toward me and touched my arm. she was ready to play. everyone got quiet and we all watched her play. her fingers trembled as she fought every line against making a mistake. could she do it? yes!! she made it through! everyone cheered! and latika laughed and laughed like she just heard the best joke ever. and when we moved on to another song and started to learn the g chord, she was among the first to catch it, and with a smile that lit up the room, she began teaching others. a few days later one of the older students of the morning class led an evening practice session. i stopped by and looked in the window. “is latika here?” i said. “yes, she’s here,” said preeti. latika said something in bengali. “latika says you must really love her,” said preeti. and i thought of all the love — from my sister and brothers and dad and cousins and nieces and nephews and music family and bethany family and other dear friends in my life — that i carry to these girls here in india. how could i tell her about all that love that i carry? i didn’t think i could explain all that. thank you to indrani, the founder of sanlaap, and the wonderful sanlaap staff for the warm welcome and collaboration on this project!!! here’s a card that one of my students made with toilet paper roses to give to indrani to thank her for allowing sgub project to come to sanlaap. 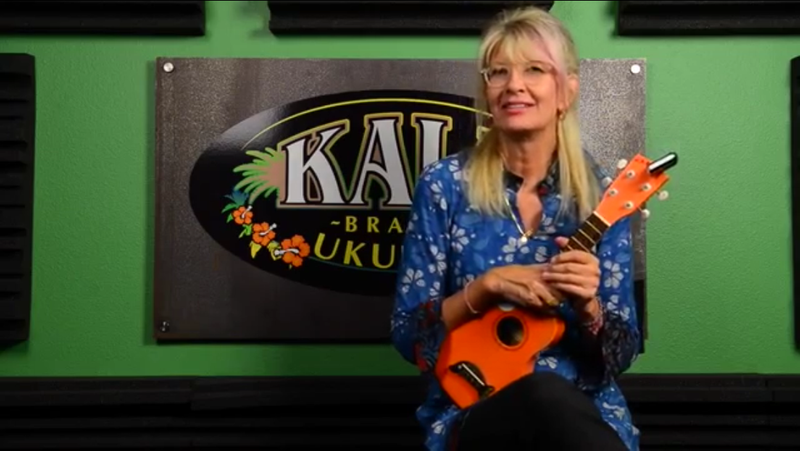 thank you, to kala brand music for the beautiful makala dolphin ukuleles — the best beginner ukuleles on the planet! and thank you to worth premium ukulele strings — the strings that make these ukuleles sing!! this photo from the 2014 bethany benefit concert represents just a small portion of the lovely people who have joined the band. thank you thank you thank you dear friends and family and all who love me and support this project. what a blessing to carry your love with me and give it to these girls. i could not do this project without you. survivor girl ukulele band 2015 — kolkata! — is underway, bringing hope and restoration to survivors of human trafficking through the healing power of music and love!! 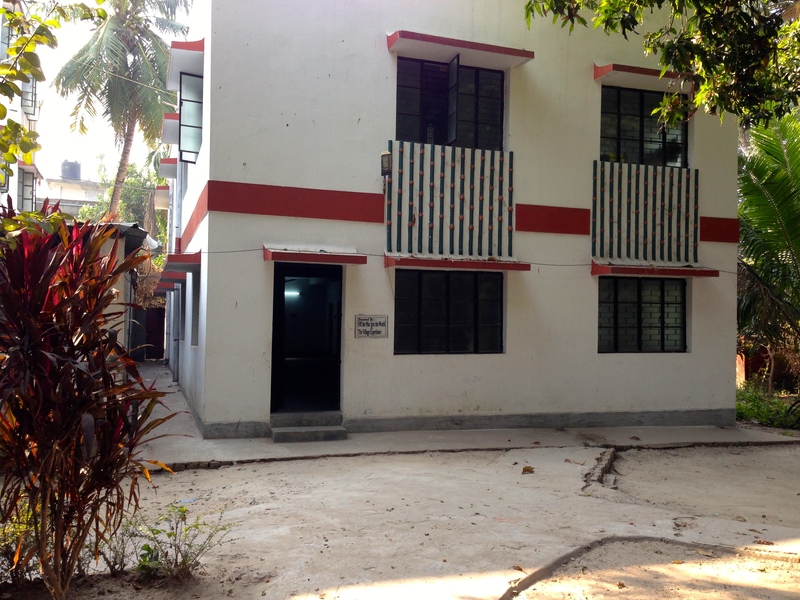 on january 22, after more than 40 hours of travel, i arrived at the sanlaap (pronounced shonglaap) shelter home in kolkata, the city formerly known as calcutta. it’s winter here, and the weather has been wonderful, but it’s quickly ramping up to soon be rainy, hot hot hot, and super humid. the very night i arrived, tanvi* dropped by my room and started playing ukulele. yay!! currently i’m teaching two or three classes a day and have sixteen students. i also try to facilitate an evening practice session for my morning class. and here’s part of the morning class! i wish you could see the struggles and triumphs and challenges and failures and obstacles and victories!! it’s pretty wild. stay tuned for a full post about this class! one of the first things i did was buy colorful new floor mats and two lamps to make the teaching area cozy and comfortable. can you see in the photo that one of the lamps is a ukulele?! when i saw that ukulele lamp in the shop, it said, “buy me!” and i said, “ok! !” hahah!! in early march i will start new beginner classes, and already there are more than ten girls asking to get into the new classes. one of my students has started a fabulous ukulele notebook, and as you can see from her notes, we’re learning “twinkle twinkle little star.” its a song both my students and i already know, which makes it much easier for them to learn and for me to teach. the evening class has six students, and they are a dedicated bunch. the other night we’d been playing for over two hours, and i was getting hungry. “class hogaya?” i said (class finished?) “no! !” they said. “one more! !” we’re learning “purano sei diner katha,” a classic bengali love song, and between that and “twinkle twinkle little star” and pachelbel’s “canon in d” in c, they want to keep playing and learning. and when i play, my mind is free. it’s moments and journeys and outcomes like that that this survivor girl ukulele band project is all about. it is such a privilege for me to be here and do this work called survivor girl ukulele band project, where i try to give these girls a glimpse of something else, something new, something good, something light, something joyful for their lives — as we strum on colorful little ukuleles and learn and laugh and play and sing. thank you thank you thank you for supporting me and this project through your friendship, your love, your financial gifts, your hugs, and your words of encouragement. 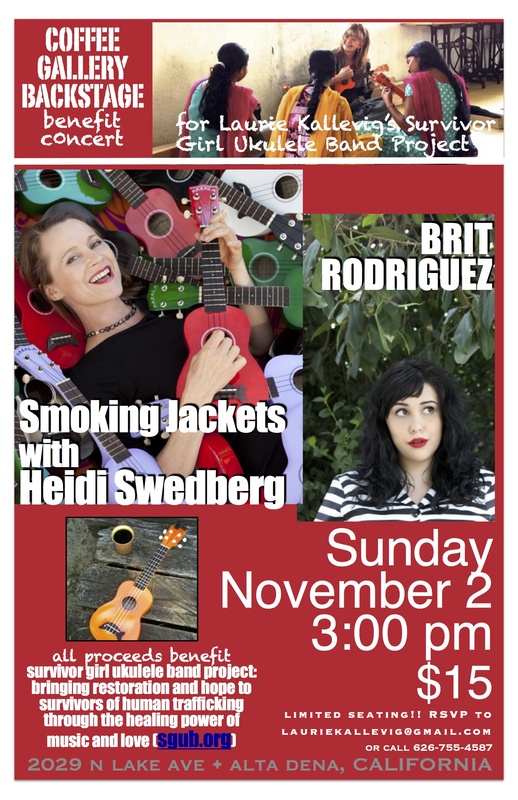 two upcoming sgub project benefit concerts in los angeles!!! see you there!!! 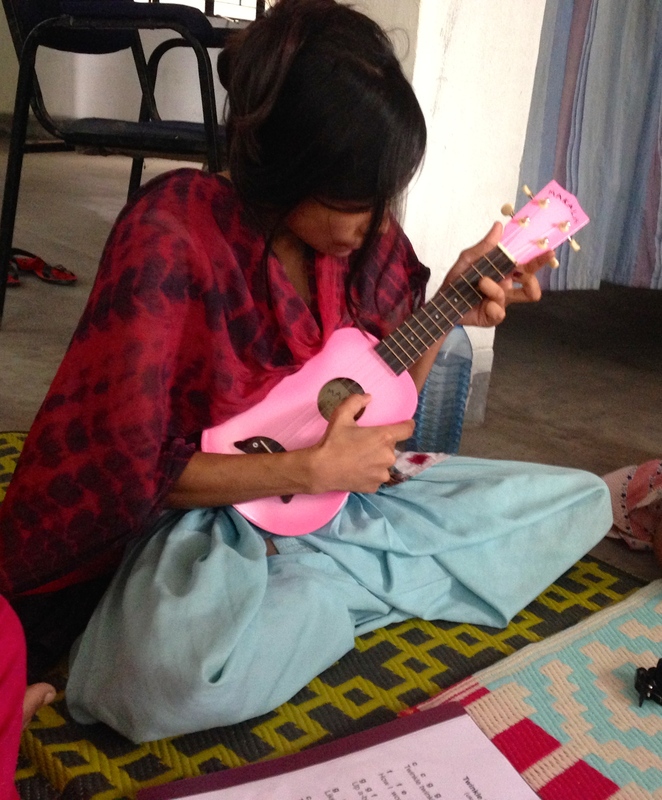 saja* is one of my survivor girl ukulele band students from bangladesh. she is smart and brave. 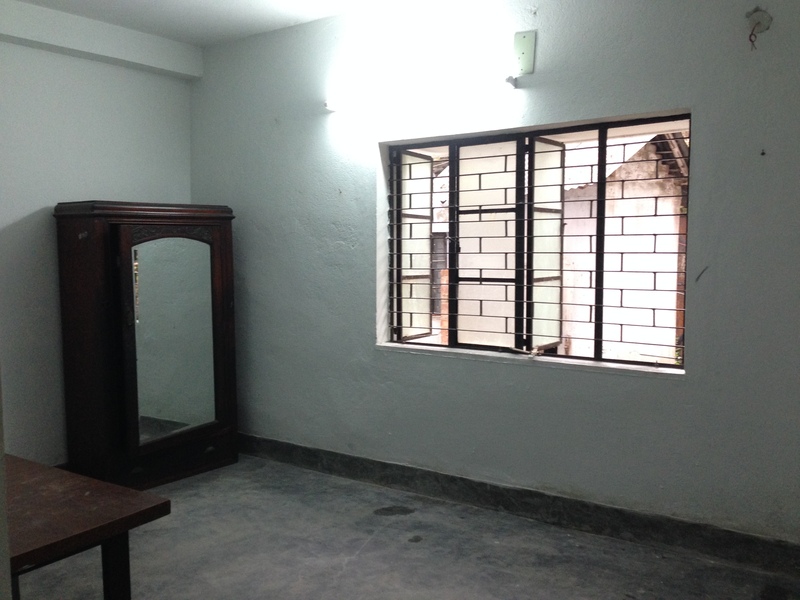 held captive and used in forced prostitution in central india, saja found a way to escape from her brothel and made a run for it. she then went to the police and led them in a hunt and rescue mission in which twelve other girls were rescued and ten brothel keepers and traffickers were arrested. in ukulele class last year, saja was focused and learned quickly; and though she sings way off tune, she has beautiful control and coordination in her fretting and strumming and a gift for musical phrasing and timing, so when saja plays ukulele she makes music. saja was one of eleven survivor girl ukulele band students from bangladesh to whom i said goodbye in may of last year. they each went away with a folder of music charts and a kala brand music makala dolphin ukulele, and i knew i would never see most of them again. but four of the girls said they lived in or close to dhaka, and when their train chugged out of pune junction railway station, in the back of my mind i hoped and i wondered and i prayed that maybe i could travel to dhaka and some day some how some way i might find those girls and see them again and let them know that they are not forgotten. and i hoped that i would find them safe and healthy and happy. 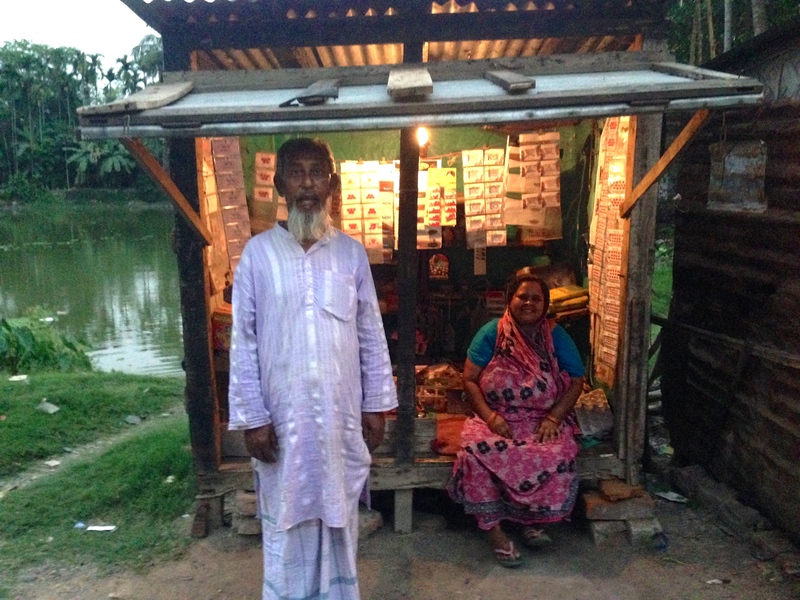 i connected with a powerful ngo in dhaka and sent them the list of four names in hopes they could help me find those girls, and in late april i traveled to dhaka. it was late monday night when i arrived in bangladesh, and i was quite sick. to make things worse, next day i learned there was no information on the whereabouts of the four girls. the next day i was even sicker, and again there was no information. next day was the start of a three day holiday weekend so like, no information, and i was getting even sicker and needed to get to a doctor. honestly, i was getting a bit discouraged. concerned for my situation, my twin sister in minnesota sent out a prayer request to thirty of her friends, and out of the blue my friend anne from my church in california emailed me and asked how she and the prayer team at bethany could lift me up in prayer. by saturday i started to feel a bit better, and then sunday i got a call. there was information. addresses for all four girls. and the address for one, saja the smart and the brave, was not far away from the ngo office. soon i was on my way to join shahida from the ngo in the search for saja. 29/b, anondo bazar road, pirerbag, dhaka*. saja’s address when she was repatriated last may! as we neared the neighborhood i wondered if she would be home or out at the market. i carried a ukulele in hopes that someone would see it and say they know the girl who has a ukulele. each young woman i saw on the way could be saja. she could be on that next bicycle rickshaw just ahead! or just around the corner! or somewhere down the street! 29/b, anondo bazar road — it sounds pretty straight forward. but once you get into those densely populated areas with narrow winding lanes and seemingly no system to the street numbers, it’s anything but. 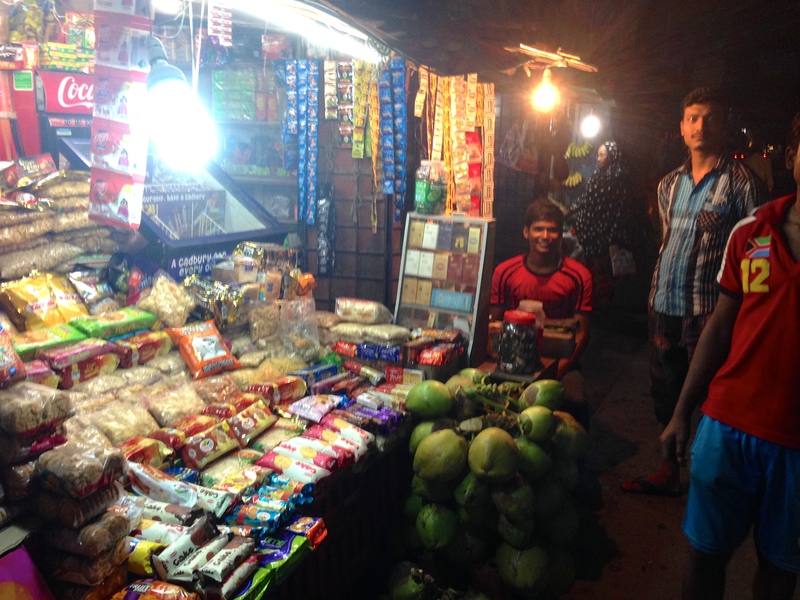 we found 29/a and c and d and e anondo bazar road — but no b. we found 28/a, b, c, d, e. we found 30/a, b, c, d, e. we searched high and low and in-between. we got advice and directions and help and tips and suggestions from a dozens of people. the minutes turned into hours. 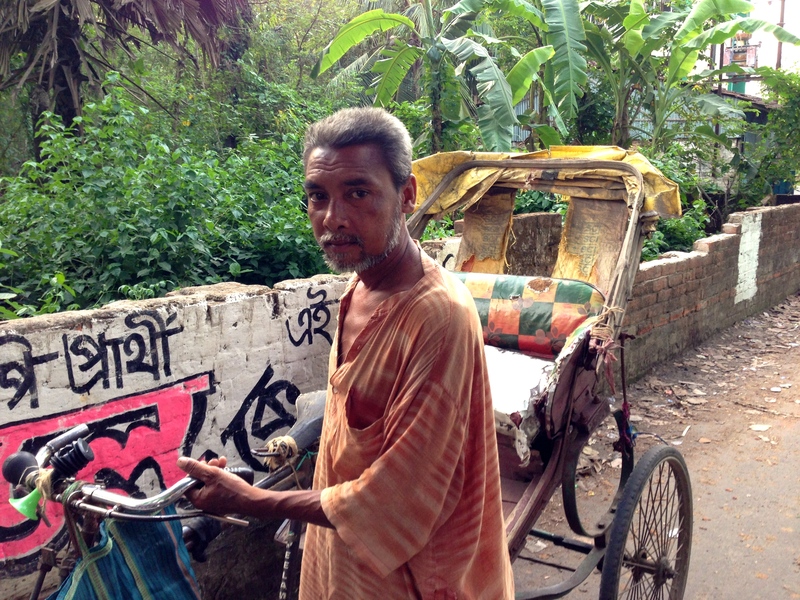 our inexhaustible bicycle rickshaw driver took us down every street, every path, every lane, every alley. there simply was no 29/b, anondo bazar. we looked and we looked and we looked but it just wasn’t there. and neither was saja. we had to give up. we had to go home. we didn’t find saja. saja is somewhere in dhaka. she is now married, and her husband is forcing her into prostitution in a dhaka hotel or hotels. saja the smart and the brave….you are not forgotten. this is not the end of the story. you are out there somewhere and some day some way, i hope that we will not only find you, but also that more and more people will come together and work for change in this world where stories like yours are not rare but happen every day. where to begin. i’ll start with some good news. “bindu?!! is that really you? !” i said. i could hardly believe it. “ya! bindu!” she said, laughing. “yay!! i’ll call you back tonight! !” i said. bindu* was one of my survivor girl ukulele band students from last year in pune — and i hadn’t seen or heard from since she left for home in may 2013, so i was very excited to hear from her. 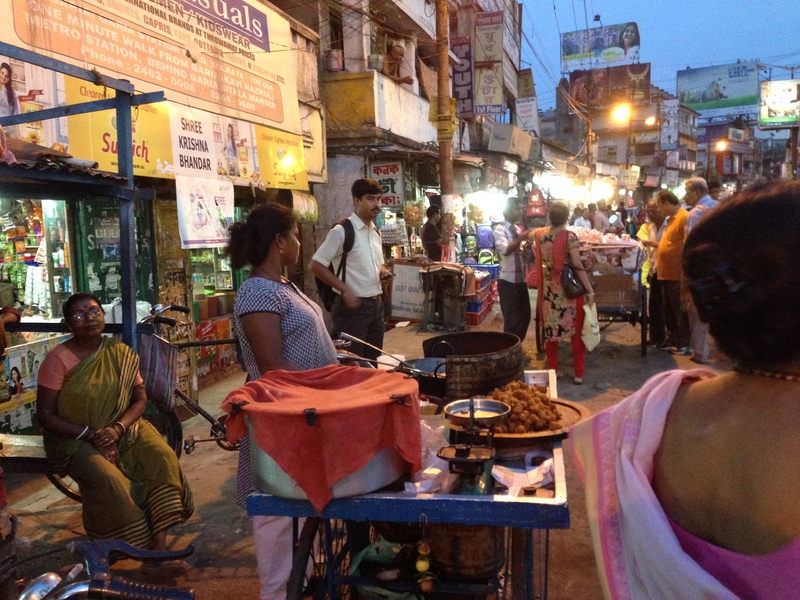 later that night i had a hindi-speaking friend call on my phone to bindu and ask her where she was and how she was doing. bindu said she was in mumbai and that she was married and that i should come and see her! i was so happy! then in february i got a call from the mother of another of my students, preethi*, who is from pune. when preethi was released from the protective home in pune she was quite sick, and my last text to preethi asking how she was had been unanswered. when i asked how preethi was i couldn’t understand anything her mother said except, “please come my house,” but i knew something was wrong. a couple of weeks ago, i set out on the 28 hour journey to pune and mumbai to see preethi and bindu, worried that something had happened to preethi. soon after my arrival in pune, i heard the bad news. preethi was dead. she died in october 2013. she was only 19.
and i thought to myself, how does this happen?! a 19 year-old girl just dying like that?! what did she die from? did she have the correct diagnosis? was she getting the right medicine? so many questions. a friend agreed to accompany me to preethi’s mother’s home and translate. her mother told me that many times preethi said, “call laurie madam,” and that they tried my number. but by then i was back in the usa and my indian number was switched off. it’s true that the life-expectancy of a prostitute in india can be very short, but this was a complete fail. i failed preethi. her family failed preethi. her friends failed preethi. her doctors failed preethi. and the government system along with the ngo that kept her locked up without medical attention failed preethi. we all failed preethi. i can’t believe that she’s gone and i keep thinking of all the things i could have should have would have done differently. now it is all too late. it’s a sad and messy story and i am still trying to process it. mina is surrounded by some really good people who love and support her, and is very much enjoying her new role as a housewife. from pune i caught a bus to mumbai to meet with bindu. bindu doesn’t speak much english and i don’t speak much hindi, so it took a number of phone calls with a translator-friend to arrange a time and place to meet: platform 10, kalyan junction. when i disembarked from my train at kalyan junction, i spun around in the surge of hundreds of people. where was bindu? my phone rang. it was bindu. “bindu, where are you?” i said. the crowd dissipated. and there on the next platform over, in bare feet and a blazing yellow sari, was bindu. it was like a scene out of a movie. the long lost friend, now found. we each ran up the stairs and met on the bridge and hugged and laughed. 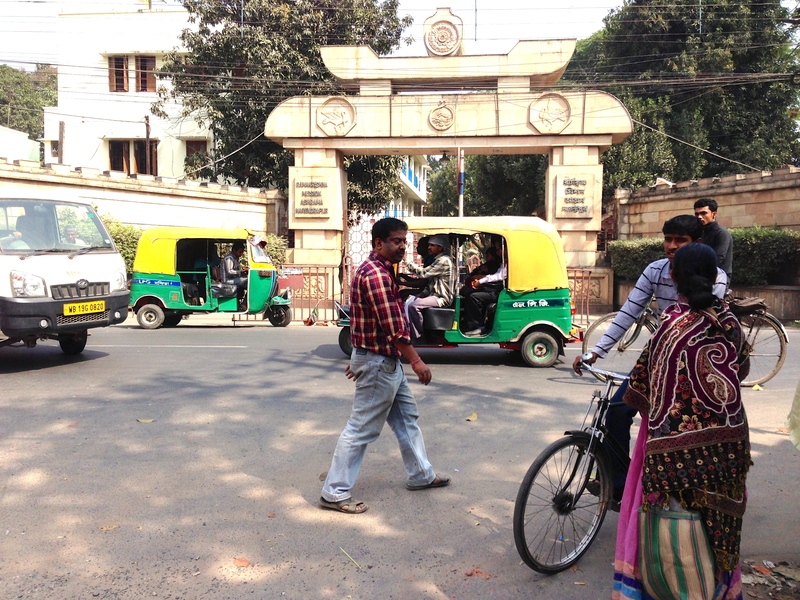 then she led me barefoot through the maze of the station and the narrow side-streets and out to a busy road where we caught an auto-rickshaw. i had no idea where we were going, but as we sped down the road i pulled out my iphone for some selfies of the two of us. bindu snuggled up against me, her chin on my shoulder, her cheek pressed against mine. together we smiled into the camera. “oh, bindu, bindu,” i said. “ya! !” she said, and we laughed and smiled, pleased at the selfies we were making. i clicked off my camera. we couldn’t talk to each other much, but it didn’t matter because we were together. despite the heat and humidity we sat close to each other for the next forty minutes as we bumped along toward her home. 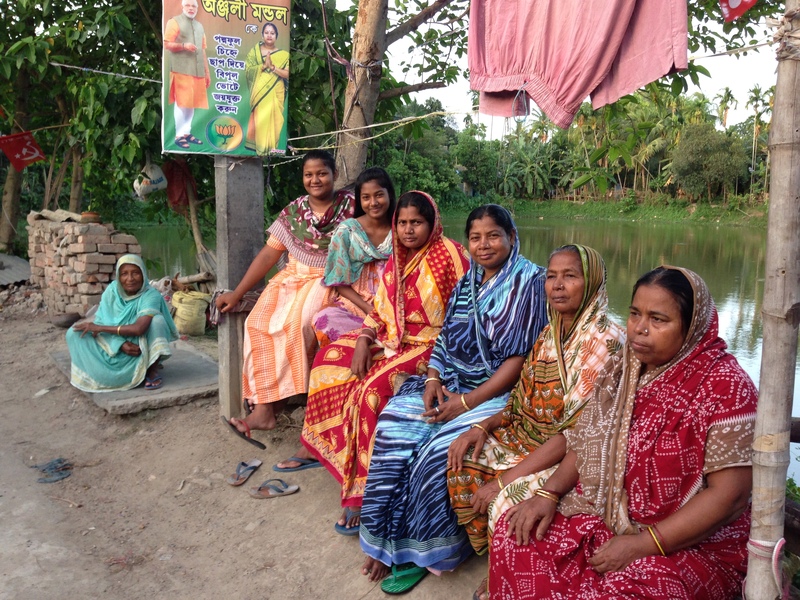 bindu brought me to her home, which was little more than a shack. on the floor a plastic political poster with some padding underneath serves as bedroom and sitting room. on the other side of the room, a makeshift shelf holds a few kitchen items. she introduced me to her her husband, who clearly loves her. the whole afternoon i felt like i was in a movie and this was the happy ending. 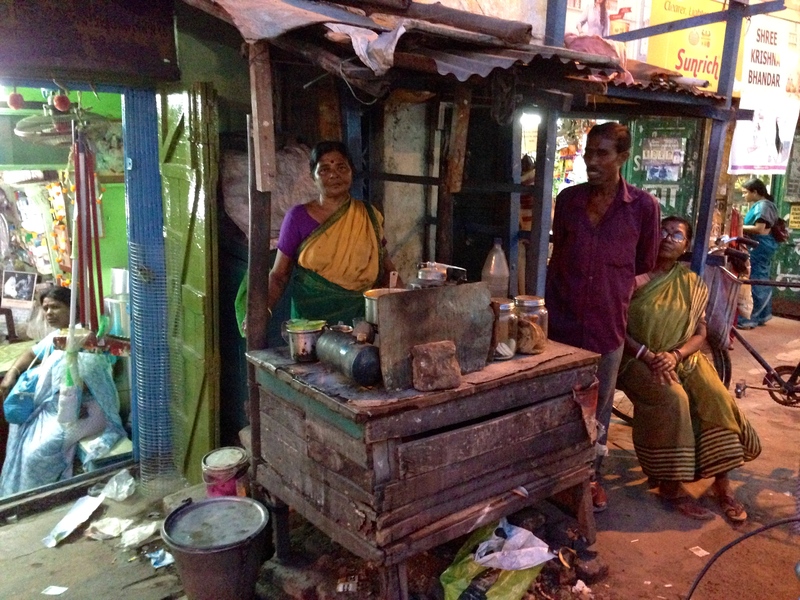 after the horrors of the brothel, bindu has overcome many obstacles. she’s found true love, has her own snug little home, and carries hope and joy into her future. i can’t claim that survivor girl ukulele band played a major role in this happy outcome, but i am thrilled that bindu contacted me, that i was able to see her, and that i am able to share the story of her new life. these are just a few of the stories of survivor girl ukulele band project. i’m so grateful for the many family and friends around the world who are a real part of this project through your love and prayers and financial support. thank you. did i mention the boys? yes! i’m now teaching ukulele to boys — because boys are survivors of human trafficking, too. a few weeks ago i started taking the trek out to the odanadi boys home. it’s two hours away. one of those hours is on a bus, and the other is trudging a dusty road in the blazing sun. it’s quite a breath of fresh air to be out at the boys home. the boys — in contrast to my girl students who fight, yell, and slap a lot — are very kind to each other. they play ball together, and the bigger ones look out for the little ones, and they’re so well-behaved and attentive that even though i arrive at the boys home wilted and windblown, i leave refreshed and inspired. on the way back to town gajendra* gives me a ride on the back of his ancient bicycle, which is outfitted with a super-comfortable wire book-holder contraption. the bumpy dirt and stone road makes the ride a real treat. and keeping my feet off the ground gives my core a good workout, too. 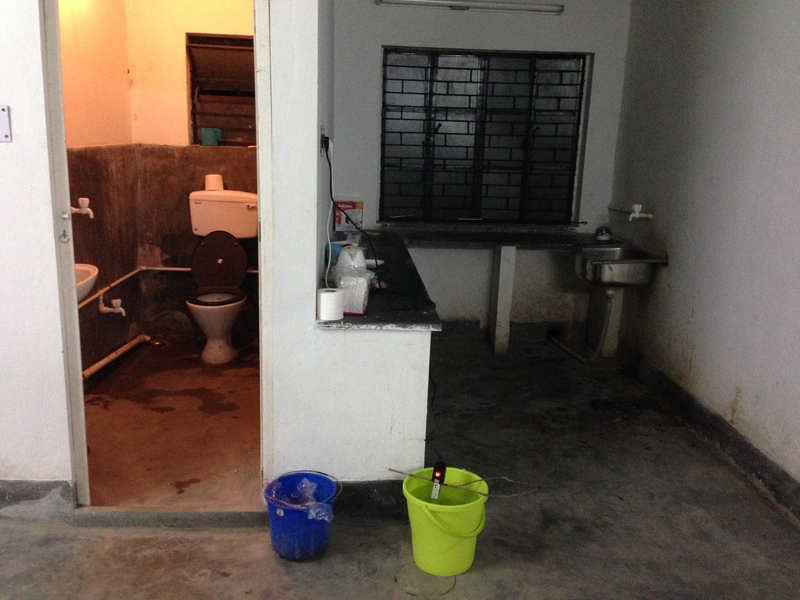 it’s a very glamorous and exotic life that i lead here in india. kayaan* is a natural talent with a great ear. he picks it up so quickly i feel like a teaching genius. this is chandresh*. he’s eight years old and he says, “sister!” and when he has my attention he says, “sister. slowly.” and then he shows me what he’s learned. even though the boys classes started after the girls, they are quickly catching up. i see joy and a sense of accomplishment on their faces, and i feel so privileged to be here doing this survivor boy??? ukulele band thing. i couldn’t do this with out the many back home who pray for me, encourage me, and fund me. thank you for being part of the band. it was early evening at odanadi and i was hanging out with one of my ukulele students,14 year-old miriam*. 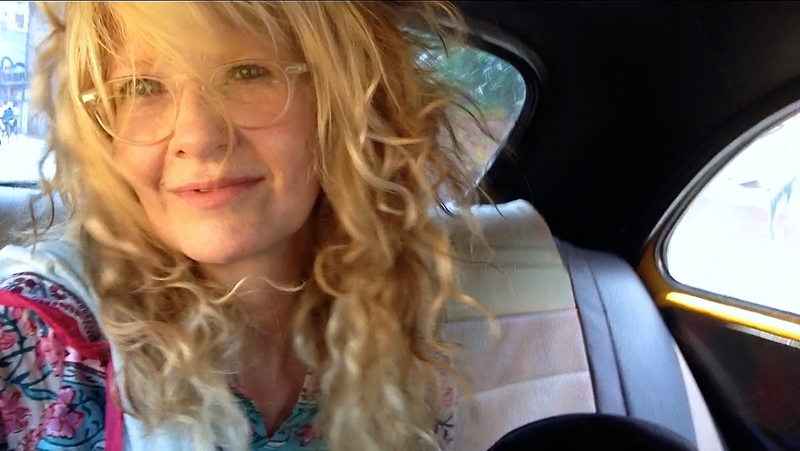 i’d stayed late to catch a ride home with someone who had a car, and miriam and i were on the outside veranda overlooking the dusty courtyard. the sun had disappeared, and the hushed gloaming enveloped us. miriam, who had been bubbly a few minutes earlier, was now quiet and downcast. I thought of my own mother. “ya. i’m sure you do,” i said. it was that magical time of day, and i flashed back to my own childhood, when the neighborhood kids would squeeze a last few minutes of playtime out of the dusk. and then we’d all scamper back to our homes and inside to our bright and cheerful kitchens and loving mothers who were cooking up something good to eat. “but i don’t want my father,” she said. later that evening i learned that miriam’s father killed her mother in front of her and her small brother. miriam is one of my most dedicated and enthusiastic students, and she has a smile and light about her that can make your day. but quite often, if something doesn’t go her way in class, for example someone gets a prize that she feels they didn’t deserve, she rails against the unfairness of it all, quietly places her own prize back in front of me, and lays down her ukulele. “i’m not coming to class anymore,” she says and flounces toward the door. “i will miss yooooou! !” i call out as she exits the room. she always does come back to class the next time. and always with a huge smile, ready to jump in and learn and play and laugh and have fun. at the summer break after exams, sometime in early april, her uncles and aunts will come to collect her, and she will not return to odanadi. i then i really will miss her. and what will become of miriam? will she continue her studies? will she be happy? will she safe? the survivor girl ukulele band is a short-term project with long-term objectives. it is my hope and prayer that the time we’ve had together and the work that she has put in to learning the ukulele will have dividends of joy and fun and hope and healing for years and years to come. i don’t know what her future will bring, but when she says good-bye in april, she will leave with her very own ukulele and she will know how to play it. and she will know that i love her. and the rest is in god’s hands. the more time i spend with these girls i more i appreciate my family and my friends back home. i’ve been so richly blessed with a loving family and an ever widening community of friends. thank you for the love and support that sent me here to do this thing called survivor girl ukulele band.